Are you having cupcakes instead of one large cake and want something cute to decorate them? 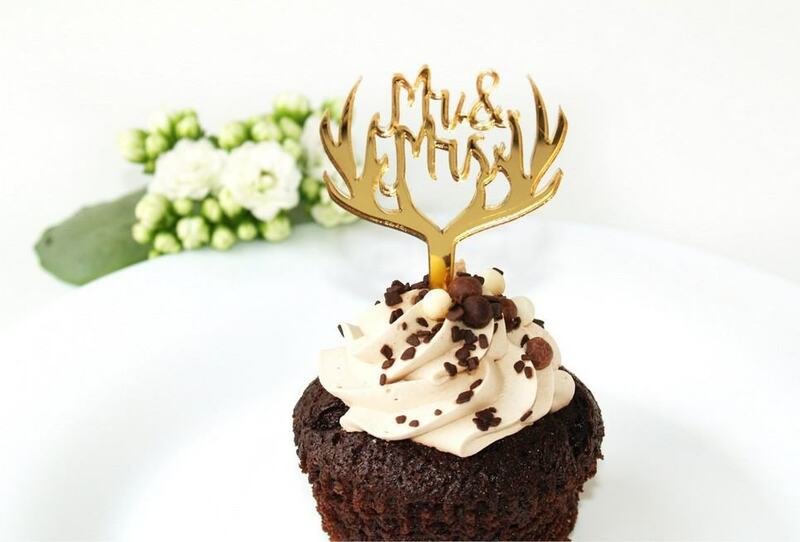 Bring your cupcakes to life with the Antler Gold Cupcake Topper, a wonderful cake display for any occasion. 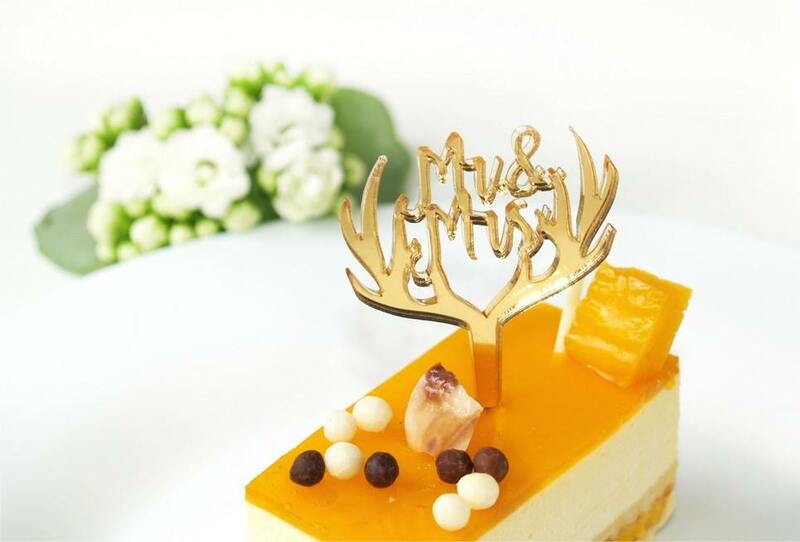 It will add a special finishing touch to your cake display, great for cupcakes, donuts or any fun display that you create. 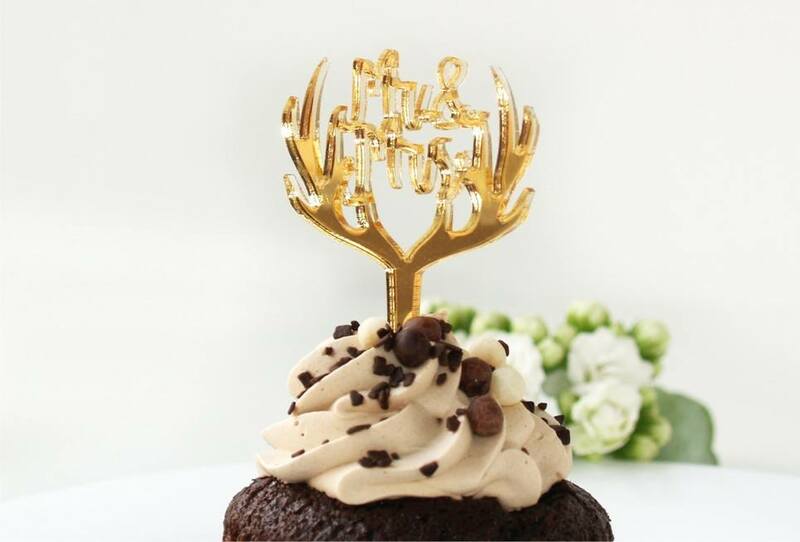 Completely handmade in acrylic, this unique cake topper would be a great addition to weddings, birthday parties and corporate events with each person enjoying their own treat! It also makes a lovely gift for your very own star baker! Pop these stunning cupcake decoration toppers into delicious fairy cakes and cupcakes – an easy and effective way of creating beautiful cakes. They will be loved by all guests ensuring your cupcakes get eaten up in minutes! 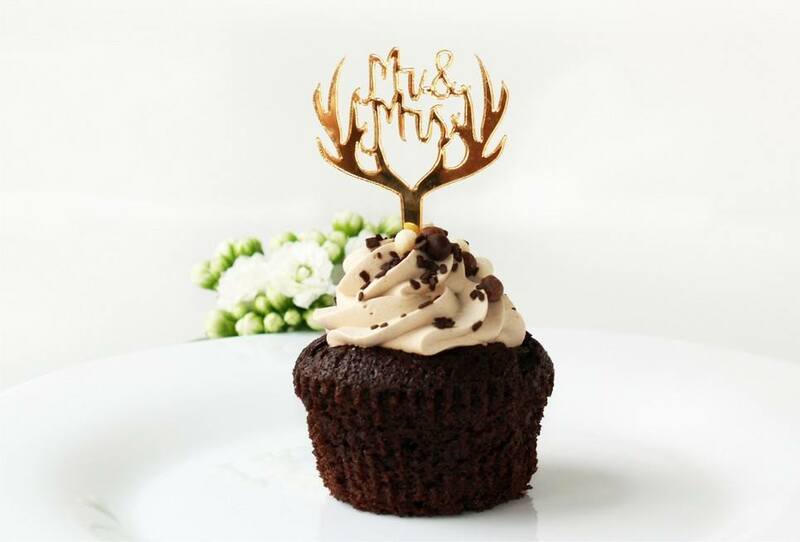 These fun and modern cupcake toppers will create an eye-catching centerpiece for your celebration. Perfect for mini cakes and doughnuts! Suitable for children’s parties, birthdays, christenings, naming ceremonies, weddings, anniversaries and any other special occasion. 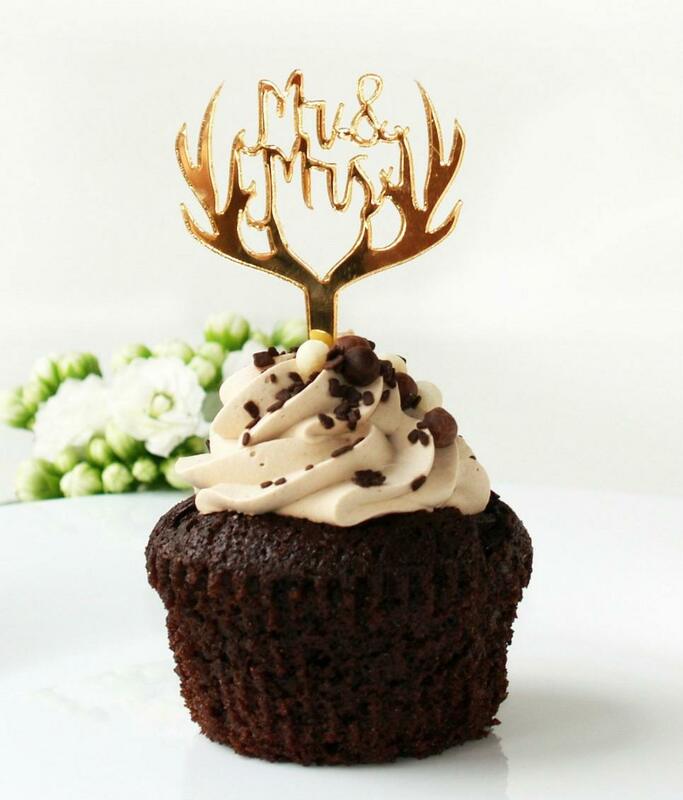 This cupcake cake topper also makes a lovely keepsake. It can be carefully cleaned after use and of course, it can be kept as a special memento long after the day has passed. Care Instructions: Wash your cake topper with warm soapy water, rinse and pat dry. With gentle handling, you may re-use the topper time and time again!